Islamic Finance is one of the fastest growing segments in the world’s financial systems. At least US$500 billion in assets around the world are managed in accordance with Sharia, or Islamic law, and the sector is growing by more than 10% per year. Islamic Finance therefore has the world’s attention and has become an attractive investment tool and a potent means to grow businesses. 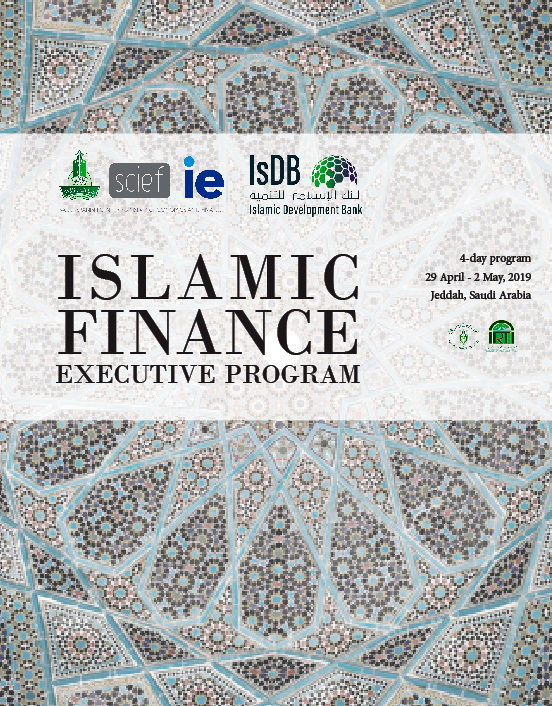 In partnership with IRTI (Islamic Research and Training Institute), the King Abdulaziz University and the Saudi-Spanish Center for Islamic Economics and Finance, we are proud to present the Islamic Finance International program -- an interactive course that enables participants to understand the Islamic principles and finance tools that are key to this sector. The program provides the venue to analyze, discuss, and learn Islamic Finance first-hand through academic sessions and round tables with expert-speakers, company visits, and networking opportunities right in the urban center of Saudi Arabia and principal gateway to Mecca: the city of Jeddah.